Chicago, Illinois – Today, the United Food and Commercial Workers Union (UFCW) affiliated with the AFL-CIO in a bold move toward a stronger, more unified labor movement. UFCW President Joe Hansen, supported by a vote of the UFCW Executive Board, decided to add the 1.3 million private sector members to the AFL-CIO federation in order to build a stronger, more unified voice for the rights of workers. 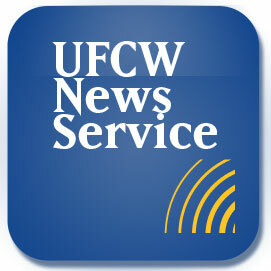 Today’s announcement comes as the UFCW Executive Board meets in preparation for its 7th Regular Convention which calls to order Monday, August 12 in Chicago, Illinois. Media Guest Registration will take place in Room W474B on the 4th floor of McCormick Place West beginning Saturday, August 10. For admittance to the Convention Floor, please present a media credential or business card.